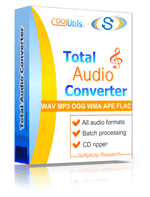 Total Audio Converter can easily convert almost any audio to WAV, MP3, OGG, WMA, APE, FLAC, MP4, AAC, MPC. A convenient batch option is available. Total Audio Converter captures audio from YouTube or SoundCloud videos. Splits APE and FLAC files by CUE. 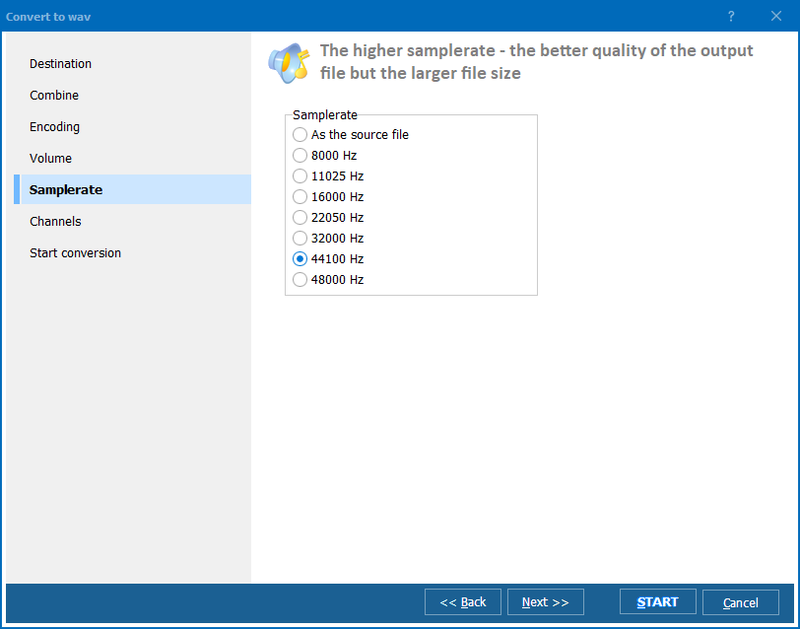 More unique options..
Total Audio Converter has been online for over 10 years. Today, when most people just get music from iTunes, true fans still use FLAC and rip old CDs. Join the gang. All upgrades are free. 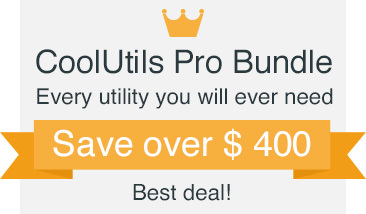 "I have only used the program once, so far. I use an open source program, in my professional work, called Audacity, which does not recognize audio files, only MP3 or .wav files. I was able to convert the audio file, then load it into Audacity, which made the job of notating the song much easier. I have no doubt that I will find similar uses for TAC in the future. By the way, using that program had stirred my curiosity, and I will be visiting your site to investigate your other programs." "This little software does a fantastic job at converting. I had a insane number of files, some Flac and OGGs to move into MP3s. Your tools did a great job, chugged away for a few days and boom." How to split FLAC tracks by CUE? How to split APE files by CUE in 3 easy steps? How to convert YouTube Links to audio files? How to export Track's info efficiently? 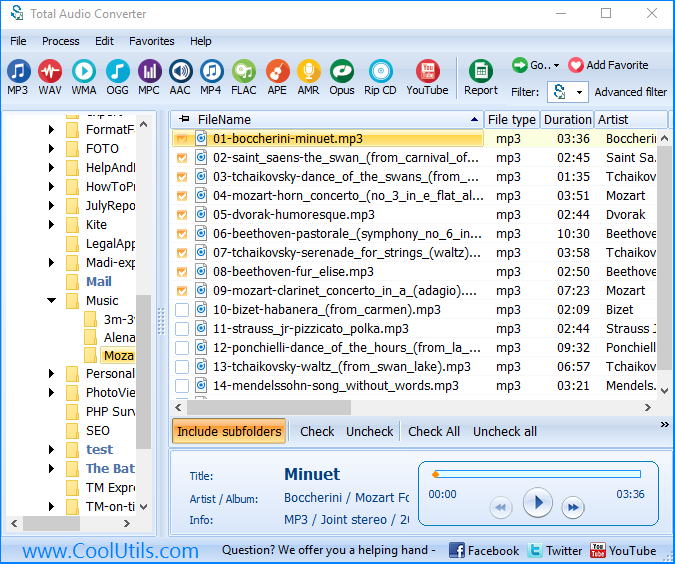 Review Audio Converter YouTube by Coolutils. 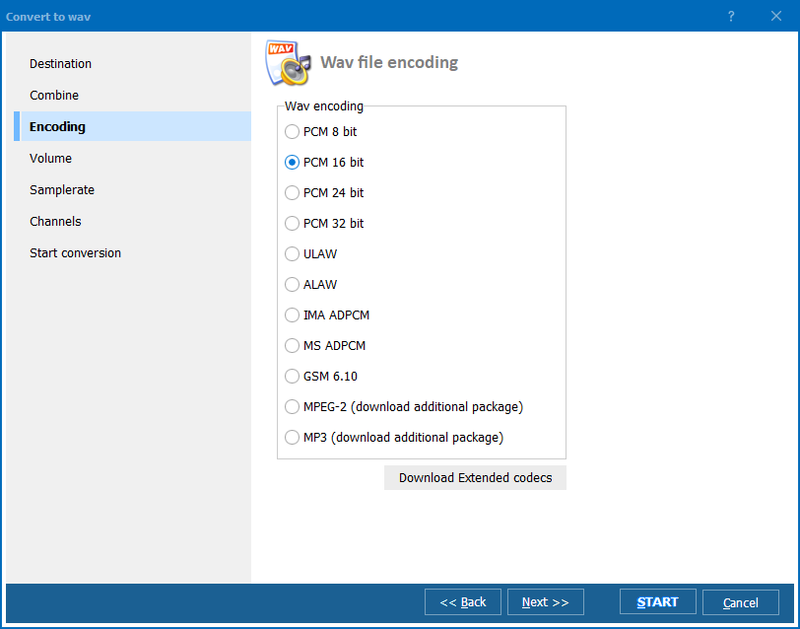 How do you convert Ape files to Mp3 using Windows? How to register CoolUtils Tools? What is the best music file format for mobile phones? Do you want any song from your CD to your Mobile Phone? Converts almost all audio formats: MP3, RAX, WAV, OGG, CDA, APE, MPC, WMA, FLAC, AAC, MP4, TTA, OFR, SPX, WV, MOD, AMR, Opus, MIDI, VQF.